Apple has confirmed that all of the inventory for its third-generation tablet that was being held for pre-orders is now sold out. With such an amazing demand for the device that was introduced just this past Tuesday, the Cupertino based firm says that demand for the new iPad is "off the charts." Orders for the tablet placed today will not ship until March 19th, 3 days after the March 16th launch date for the tablet. 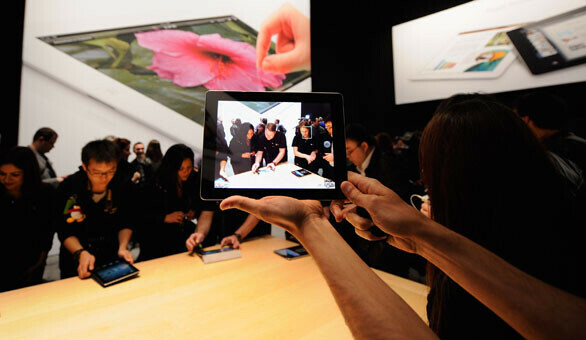 Some say that buyers could ultimately see a 3 week delay until they receive their tablet. Apple says that there will still be tablets available for purchase in stores on Friday which means we could see long lines as buyers scramble to grab whatever inventory is at the brick and mortar stores. 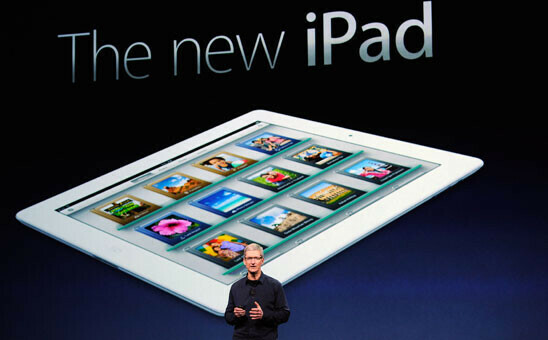 Some had been predicting that the new Apple iPad would be a hard device to find right after its launch. Apple expects to set some new sales records when the device is released this coming Friday. Last year, when the Apple iPad 2 was launched, heavy demand had led then CFO Tim Cook to say that Apple was facing the "mother of all backlogs." But it would seem that the demand for the third-gen iPad is even greater than for the iPad 2. And while the tech titan had boosted production in anticipation of heavy demand, unlike last year when the second-gen Apple tablet received a two-week head start before launching in other countries, this year the iPad is being rolled out in Australia, Canada, France, Germany, Hong Kong, Japan, Puerto Rico, Singapore, Switzerland, UK and the US Virgin Islands all at the same time. Uhmmm duh. I never understand why analysts always downplay sales expectations when everyone knows there's a herd of sh...err people waiting to buy the next apple upgrade. 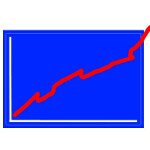 Between drooling ipad 2 owners being compelled by apple pr to sell their current ipad for the 'new' one as well as the higher resolution screen changing everything again so much that words cannot describe its no surprise that its selling well! Resolutionary haha,seems like you like apples pr wording guff. ipad 2 owners upgrading makes indeed no sense but there have been articles that they are indeed,but most of the ifans apple buying frenzy logic ever makes sense really,like all those iphone 4 owners upgrading to the iphone 4$. Yes technically it has more pixels than a 1080p hdtv but on that size screen with normal viewing distance the extra few pixels makes little difference plus. Also i'd take a 1080p 16:9 true hd aspect format anyday over a compressed square 4:3 format which isn't hd compliant in aspect ratio and can't show 1080p in a normal manner without morphing the video or media. Would you buy a 1080p hdtv or hd 3d tv if it was like the square screens of ten years ago and not widescreen format?! TVs and monitor/touch screens are not the same thing. Monitors passed 1080p a while ago. Thats nothing new. Do you even comprehend the amount of power it would take to power a TV at 55 inches with the same pixel density as our display screens?? You would be looking at like 2000x8000p or something crazy along those lines. The picture would probably be so awesome u couldnt tell that it wasnt reality... wait... i want one. darn it. lol, the point is that they are for different uses. It would take a super computer to power that dense of a screen on a large scale. Whether you hate them or love them, you have to give apple pr one heck of hand at being able to get people excited over products that have very little change about them. I'm not trying to bash apple at all. Just cracks me up how loyal folks are to the "apple" lifestyle the company lays in front of them at a premium price. I wouldn't blame the buyers too .. If they are "satisfied" with apple products after paying such a big amount nothing wrong in buying them again ..
Maybe Samsung, or in this case Android as a whole, should do the same and let see how it works out for them. yeah you two are not funny. at all. Ummm. Did you not read the article??? I think it was rhetorical my friend. I love Android, but the amazing resolution, solid processor, and top of the line build quality, it's simply the best tablet on the market right now. 2 things 1) they are artificially pumping up demand by being "out of stock". They play this game with every release.. quit falling for it. No, they are not the only ones.. Nintendo was notorious with this with the Wii. But it worked, they sold a gazillion of those things. 2) due to the new screen there will probably be ACTUAL supply constraints as there probably isnt too many places that can make the screens, but those will lead to LESS sales, not more. 3) Apple has been stocking up for months. Again, the back log is artificial. They probably have 20 million just sitting in a warehouse somewhere. 4) never trust super rosie early charts from companies. They are never right. They are designed to make u want to buy it more. Nokia tried that with the n900 being the "best selling nokia phone ever" or whatever they said.. a month later we find that wasnt true. Wait until there are official reports. trust me.. is not the "sold out" that sells Apple products.. I blame their marketing genius that they are. and media that hypes their products so bad that people need to have the next Apple product.. is smart marketing... the prototypes lost in a bar, the average consumer never hears this, the sold out is a 50-50 between carrier and Apple to pump the product even more but is not their heavy hitter.. like here in PA apple haters complaint that Apple gets all the attention.. but is mostly haters that flock all Apple articles.. the facts are there... by hating Apple you only help their cause. no big deal...it just means the number of ignorant fools are on the rise..